When we first met the realtor who was selling the land we were interested in at the actual lot, he brought with him a rough visual of the sort of house that could be built on it, along with a mock loan repayment scheme to show how cheap the monthly payments could be. At that point we hadn’t talked about our financial situation or what sort of house we wanted to build, and if we were impressed by the agent’s proactive salesmanship we were also leery of what it might lead to. Of course he wanted a sale on the land, but at ¥5.3 million his company wasn’t going to make a whole lot of money on the deal. What they wanted was also to build our house for us, and help us secure a mortgage. They were basically acting as developers, and had purchased this tract of land (relatively cheaply, because it was still being “adjusted for urban zoning”) with the idea that they could broker deals for houses and make even more money. Later, we would find out that of the five houses already constructed in the subdivision, only one had been built through the realtor. What impressed us about their offer wasn’t the forward thinking but rather the price. The agent said they could build us a house for ¥300,000 per tsubo (3.3 square meters) of floor area. In our mind we estimated that we wouldn’t need more than 30 tsubo, which means they could build us a house for ¥9 million, which was well within our budget. So while we didn’t say we would work with his company, we didn’t say we wouldn’t either. We were still interested in using a housing company headquartered in Ibaraki called A-1, which we wrote about here in early 2012. 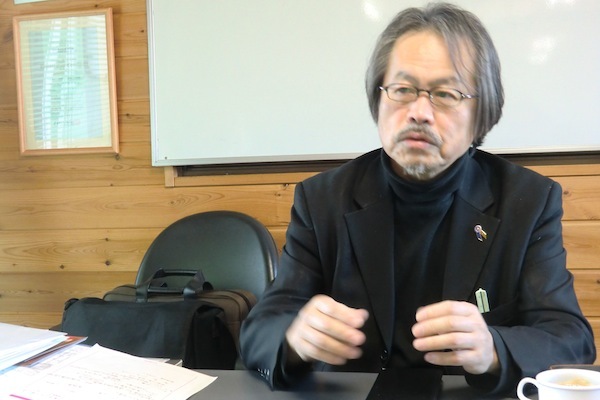 Last winter, in fact, after we abandoned our plans to buy a used house or condo and renovate it, we rented a car and drove to their offices near Kasumigaura and interviewed the company president. Kazumi Arai comes across as more of a business philosopher than a businessman, someone with a vision who has assembled a staff that can realize his vision in a practical way. (Later, we learned that Arai has an architect’s license) The explanation he gave us of his company was almost identical to the one he gave to The Japan Times, which is where we first learned about A-1, and, frankly, it was the philosophy that attracted us. 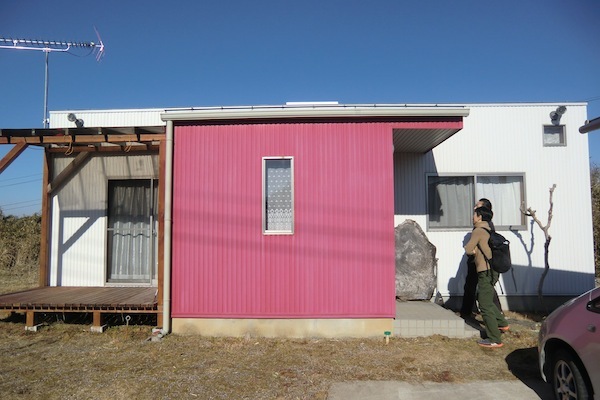 Arai’s position is that owning a house should not be an impossible dream, but because of the cost of land in Japan and the way the housing industry is structured, the average person looks upon it as an almost insurmountable financial undertaking. He believes people pay way too much for homes. A-1 keeps costs down in a variety of ways, mainly by cutting promotional budgets. The company does not advertise. It does not build model homes. Also, it is mainly a design company. It offers several basic floor plans that range in price from ¥9 to ¥11 million, and the customer then tells the architect what he/she wants. The architect amends the basic design accordingly, which means A-1 makes money on the design aspects, but it also helps the customer save money on materials. For instance, most major home builders’ designs have lots of rooms and walls, which add to the cost of a house, but A-1 points out that hallways are often unnecessary, and if the layout is carefully considered fewer walls can be built without any loss of privacy. In addition, their workers are trained in a variety of skills to save on labor costs. For each job, a builder usually has to hire someone skilled in that particular trade, be it plumbing, dry wall, whatever. A-1 tries to hire as few people as possible. But the real reason we appreciated A-1’s philosophy is that it produced something we liked. We’ve visited a few of their finished houses where buyers were already moved in and living (the company pays them ¥20,000 per tour). All A-1 houses have real wood floors and most have real wood panelled walls and ceilings, not veneer. The windows are large and double-glazed, and the fixtures are simple. Arai and his main salesman, a man we’ll call N whom we’ve been communicating with off-and-on for the past year, made a convincing pitch for the quality of the construction, too, saying their insulation and other construction materials were inexpensive but of the highest quality, and not “toxic” in any way. Nevertheless, we’ve been doing this long enough to know that any talk of “cost consideration” has to be taken with a grain of salt. And when we asked N the price of one house that they built in Chiba and which we inspected, after a lot of delaying he told us it was ¥21 million, not including land. Though the house was slightly larger than any we would need, that sounded like a lot of design add-ons. As it stands, A-1’s chief sales point, the affordability of their product, isn’t that special any more. There are at least a dozen other small or medium-sized home builders in the Kanto area that specialize in inexpensive, simple housing, though the range in quality can be wide. And most of the major nationwide builders, who tend to manufacture their products in one place and then ship them piecemeal to construction sites, now offer simple houses for the same price that A-1 charges, even if the choice of layout is limited. Which is to say that if the realtor could actually build the kind of house we wanted for only ¥300,000 per tsubo, then we should look into it further, but, in fact, the agent had perhaps gotten a little ahead of himself, to put it politely. When we insisted on a more detailed description of what the house he had proposed would cost, he sent us a rough estimate that was different from the one we had seen at our first meeting. Admitting that the per-tsubo estimate was low, he now suggested a house that was 26 tsubo in size but cost around ¥450,000 per tsubo. That worked out to about ¥11 million, which was barely within our budget, though he implied that, depending on the final price of a house they might come down on the price of the land. 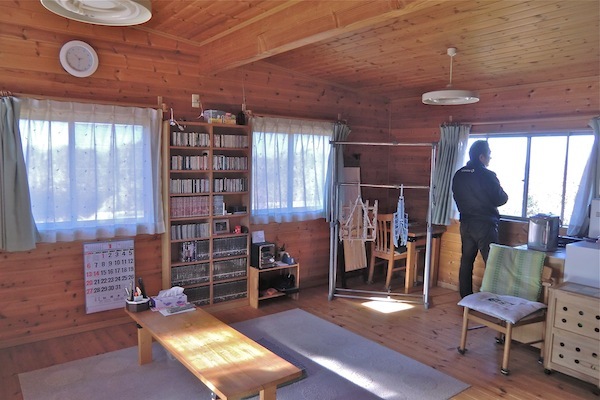 In any case, a few days later we went into the realtor’s office to put down the ¥100,000 holding fee, at which time we explained the house we wanted without going into great detail. The agent wrote down what we said. A few days later, his older colleague called us up to make an appointment to meet with their architect. We were still far from decided even on whether we would buy the land and tried to put off the house planning stage but he insisted it was not a big deal so we made an appointment for that weekend. In the meantime, N from A-1 had finally replied to our query about what it would cost for them to build a house on this piece of land. He suggested we come up to Ibaraki again and talk to one of their designers and explain exactly what we wanted. So a few days later we again rented a car and drove to Kasumigaura. The A-1 offices are nondescript, located along a major prefectural road on a rise near the lake. From the outside the offices look like prefab structures joined by a long wooden porch. In the front, facing the road, is a coffee shop in the form of a “log house,” a genre of construction that A-1 specialized in for a time in bandwagon style. Though in the West log houses are identified with weekend getaways, in Japan they were promoted for a brief time as rustic exceptions to the usual boxy, mortar-and-wood structures that tend to look old really fast and which make up the vast majority of single family homes. Log house popularity has ebbed considerably in recent years, and now A-1 has a more reliable reputation for building what they call “cube” houses, which are literally boxy but also more stylish looking because of their utilitarian simplicity. The coffee shop, by the way, was run by the president’s mother. And the designer who helped us this day was the president’s son. We had already told him the basic design we wanted to work with and he brought his laptop to the meeting room loaded with design software already primed with the basic layout. From there we simply verbalized our needs and wants and watched him manipulate the floor plan on the computer in a rough approximation. We spent almost four hours in that room sculpting a house out of pixels, and it was a very enjoyable four hours, during which we consumed coffee and pizza provided by the coffee shop. What made the enterprise enjoyable was the unfettered nature of it all. In the past we rarely got much help from real estate people or builders or developers with regards to what we wanted in a home, which was simple but nonetheless unconventional. Too many existing houses and condos would have required a great deal of renovation to match our ideal, and at some point in the negotiations we’d be confronted with the reality that it was just impossible; or, at least, impossible within our budget. But N and the designer at A-1 never told us that anything was impossible, even within the budget we’d given them. Ideally, we wanted a one-story house, because we’re getting older and assume that whatever we buy will be the place we live in for the rest of our lives. But the size and shape of this piece of land wouldn’t accommodate a one-story house of the size we wanted, so we accepted two stories but insisted that the living-dining-kitchen area be on the second floor, which is almost never done. It would basically be just one open room, with a unified toilet-bathroom and a small laundry room tucked into the northwest corner. On the first floor, we wanted the master bedroom and a connected walk-in closet on the north side, and our office on the south. Between these two rooms would be a large common hallway where the stairs going up to the second floor would be situated. The foyer (genkan) would connect to a small storage room and a second toilet near the bedroom. And that was it. Why did it take four hours to come up with such a simple plan? As each idea was proposed, the designer used the mouse to change the design, but throughout the process he would explain why some things worked structurally and others didn’t. He was giving us a crash course in small house engineering, and as we learned these things we became more cognizant of what was possible and how those structural issues could be resolved aesthetically. For instance, support was necessary on the second floor near the stairway for quake-resistance purposes, but in order to preserve the open look he suggested visible crossbars that could be integrated into the design. He also suggested a nook for the refrigerator next to the laundry room that would make the appliance less conspicuous. During the session we also made tentative choices for the gaiheki (exterior siding–we selected a dark gray corrugated compound) and the kind of wood for the floors and walls (for the office we opted for OSB–oriented strand board, which is cheaper). The designer printed out a rough floor plan as well as a graphic of what the house would look like from the outside. N said he would send us an initial estimate within a week. We left pretty high, though it wouldn’t last the trip back. Having been swept up in the agreeability of the whole process we later realized that, of course, this is how A-1 made money, by coming up with a plan that fit your concept exactly and then charging for it. But, of course, they knew our budget, didn’t they? And they’d take that into consideration, right? Two days later we met with the realtor’s selected architect in the realtor’s office. After the A-1 marathon the meeting couldn’t help but be awkward. The architect was an older gentleman with a courtly style, and we were somewhat taken aback to find that he had mapped out a full design for a house–by hand! Based on the sketchy notes we had given the younger agent, the architect had come up with a plan that was interesting but in no way offered anything that appealed to us. It was difficult to know how to react, since he had obviously gone to a lot of trouble. The older agent, perhaps picking up on our discomfort, assured us that this was simply an idea to get the process started, but without even speaking to each other we knew that if the process was to go forward at all with this company this design would have to be thrown out wholesale. We asked how much it would probably cost and were told that it depended on materials, fixtures, etc. We emphasized that we wanted real wood floors, which prompted a meaningless discussion about cheaper Chinese timber. It was obvious we were just talking past each other. Though we still had our reservations about A-1, the company had at least listened to us and responded in a way that made us feel like valued customers. The realtor acted as if we weren’t even talking. triangular sites are not uncommon in Japan. email me a dimensioned site plan, I’ll take a crack at it. Inner Chiba is full of old farmhouses, have you looked at those? Or, how about buying a tear-down, and putting a new house on it, with features and orientation of your choosing? Farmhouses are nice, though too big for us, actually. In any case if the land is designated for farming you have to be a farmer to buy it, meaning you have to use the attached land for farming or else pay hefty property taxes. Changing the designation can take years and a lot of money. The triangular shape doesn’t bother us. It’s enough space. may I ask how ‘hefty’? If land is zoned for agriculture and no crops are grown on it, the property tax is something like six times as much. Very interesting article and very relevant to my interests. It is true that we’ve been conditioned to accept what the housing good should be, and that it doesn’t have to be what it’s become. The housing good provides a list of services — keep the weather, bugs, and robbers out, while providing the privacy, space, and appliances we need for our daily “home” activities. I like that you are thinking about what you want from a house. It doesn’t have to be as complicated — and expensive — as it is. But your plan to put the bathroom on the 2nd level, apart from the bedroom and office, seems odd. Going upstairs to use the benjo would get old really fast . . . There will be two “benjo,” one on each floor. It’s mentioned in the article. Glad to hear you’re found a plot of land that checks all your boxes. Thanks for the info on A-1. I really like their designs and hope Tokyo isn’t too far for them. Oh, and one more thing. Now and then you’ve touched on the hard truth that houses in Japan lose their value over time. I’ve been meaning to ask you whether, during the research for the blog, you’ve come across any sites (in English or Japanese) that attempt to explain the various economic and cultural reasons for this. Feel free to shoot me a mail. As for disinflation in land values over time, Japan is an odd duck in the world. Part of this is that it’s been so overcrowded for so long — Chiba pref has a population density of 1200/km2, making it more dense than Bangladesh (!) and almost twice as dense as Taiwan, and more than twice as dense as ROK and the Netherlands (each at ~500/km2). Combined with this was a cheap-yen, high-growth, high-debt regime that the country expanded with during the 20th century rise to greatness. These two factors culminated in the late 1980s land boom/bust, an event that basically tore the guts out of the Japanese economy, as so much money — peoples’ bank savings — was borrowed and speculatively thrown into the markets, then lost as the bubble valuations could not be supported without continued insane lending. in one measure of growth in Japan, showing the 1990 transition to a lower growth regime — Japan has recorded ~15% growth over the last 20+ years — ~0.5% per year (growth by this measure in the 1960s was 10% per year, and ~5% in the 1970s & 1980s ). This graph is per-capita, and in dollars, two other trends that have affected the price level in Japan. Japan had a very short postwar baby boom that basically only made up for the wartime baby deficit, unlike e.g. the US that saw its high school population double between 1950 and 1980. The US has had a lot of immigration since 1950, and also its baby boom replaced itself with Generation Y, so the US population has grown significantly, adding more demand pressure to the existing housing supply. Japan, however, had just over 8M high-schoolers in 1950, peaked in 1965 at 10.4M, and after an echo peak of 8.2M in 1989 has fallen to 4.8M now, and this population will continue to fall, perhaps to 3M by 2050. Falling population is theoretically deflationary for land values, though the major population centers have imported young people to counter-act this overall trend. And the strengthening of the yen also IMO introduced deflation into the economy too, as Japanese labor became more much expensive vs. East Asian labor, while the price of imported goods fell, introducing deflation on the market shelves directly. There’s also something to be said about the rather hostile climate Japan has. Houses themselves are punished by the cold Siberian winters, the rainy tsuyu springs, and then the long, humid summers. Without good design, materials, workmanship, and maintenance, houses in Japan can fall apart pretty quickly! Thanks for breaking it down, Troy. So, all in all there are many factors conspiring to pull down house values down besides the usual suspects of anaemic growth and population/demographics. Good assessment Troy. I think Japanese population density figures are somewhat misleading, because people are disproportionately clustered in urban centers. I’m always amazed, both when flying over or driving through rural Japan, how surprisingly open and undeveloped much of the countryside is. Consider, the Kanto region is home to nearly a third of the total population. You mentioned Holland as an example, which I think is an excellent comparison. But on the whole, the Dutch population spread underscores my point. While Dutch population density would compare favorably to the Kanto region or Chiba Prefecture, it would make the rest of Japan look like a deserted island in comparison. As a home owner in another country but resident in Japan this is a very interesting column. Would it be possible to see the final design? Once we actually finalize something we’ll put it up. Estimates put the Japanese population to drop from 130million (current) to around 80million by 2050 which begs the question of whether it’s wise to buy instead of rent and place the savings in overseas property (like Australia). 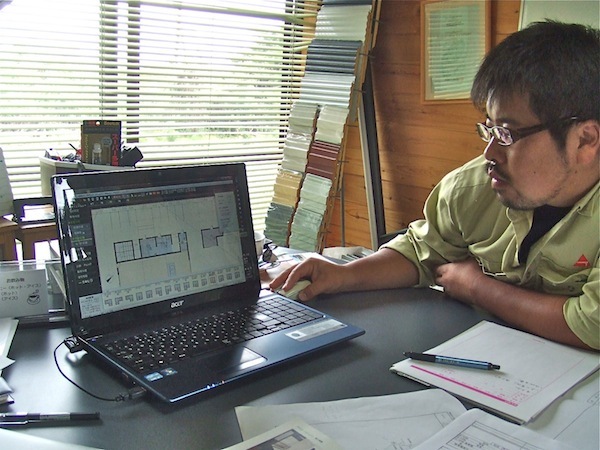 With regards to the design of the home, well, it’s always going to be difficult in Japan with such high costs allround. But, I would think approaching a local architect and paying for only a design (basic, minimal dimensions) that encapsulates your requirements would give you something that you can then get priced by local builders (some small, some big) to gauge the market. Naturally you wouldn’t be paying for builders to price the design. Hey, if you ever needed someone to design your home for this purpose we are in the throws in obtaining our Japanese licensure at the moment!